Boeing Stearman Model 75 (S/N 75-603) sponsored by Jelly Belly flies over the Central Valley of California. One of the best known biplanes in aviation over 10 thousand of the model were manufactured for the military as a primary trainer during the Second World War. 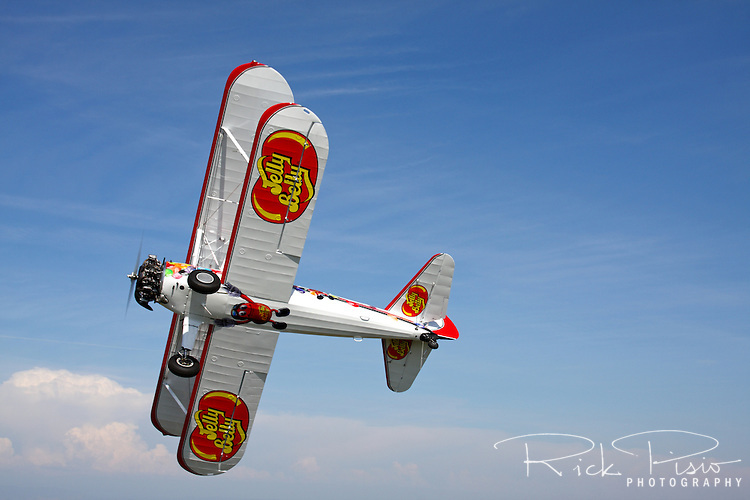 The Jelly Belly Stearman appears regularly at airshows throughout the western United States.